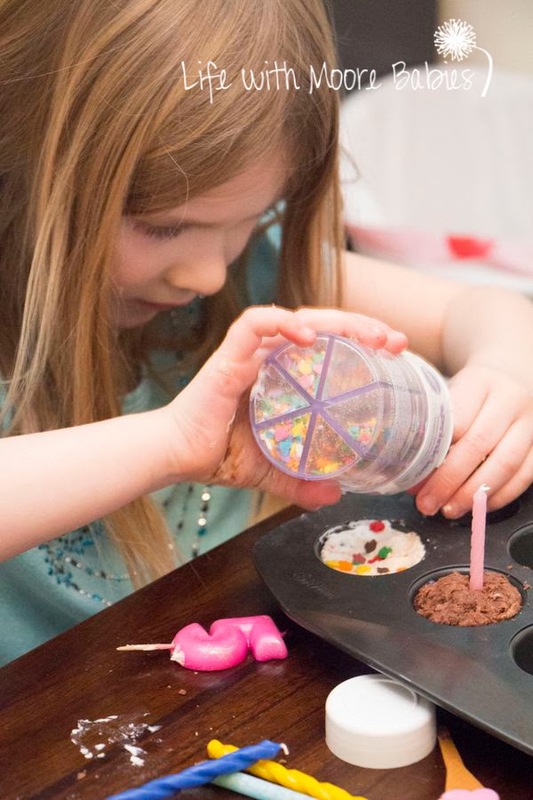 When I saw this simple peanut butter play dough recipe over at Kids Activities Blog, I knew I had to try it....with Nutella! 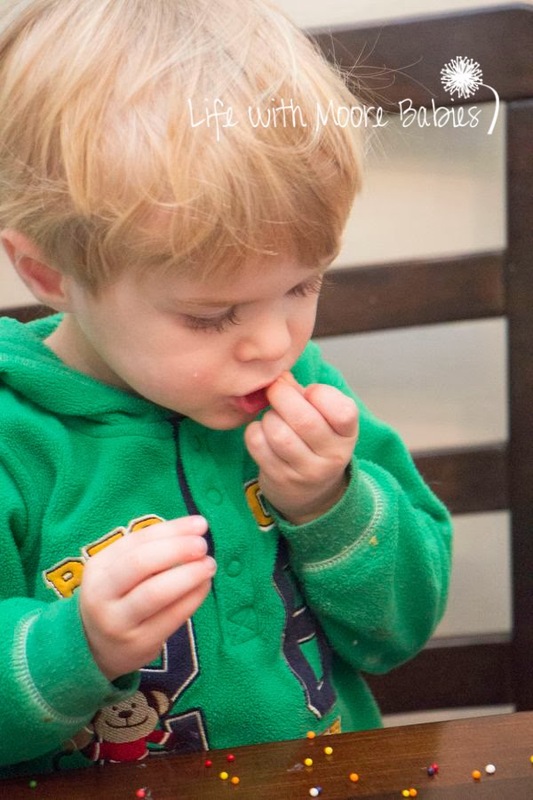 We LOVE Nutella in this house; it is the preferred topping for waffles, pancakes, and the companion for peanut butter sandwiches! 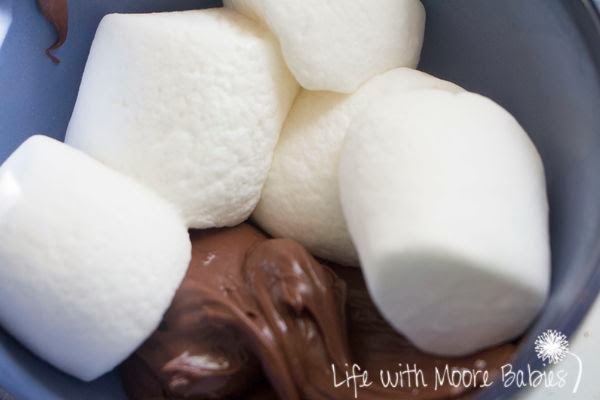 I ended up using 6 Tablespoons of Nutella and 9 large marshmallows. Microwaved for 10 seconds, stirred it up, and added enough powdered sugar to make it not sticky. 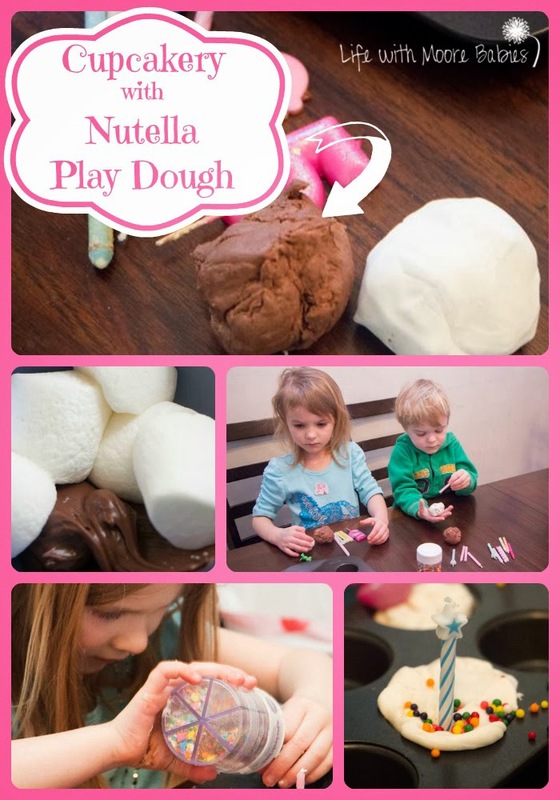 This made three small balls of Nutella Play Dough! For good measure I quickly made some marshmallow fondant too! 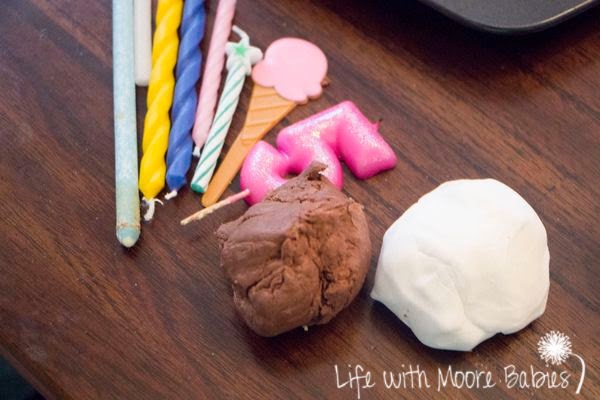 The recipe we use for marshmallow fondant is marshmallow fluff and enough powdered sugar to get a good consistency. I recommend using a mixer for it or you will be mixing in powdered sugar for a while! 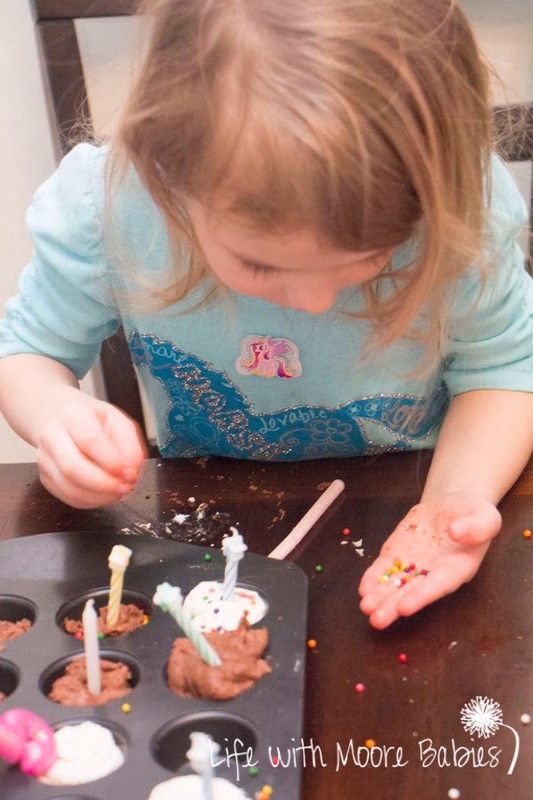 My girls always love playing with left over fondant from birthdays! 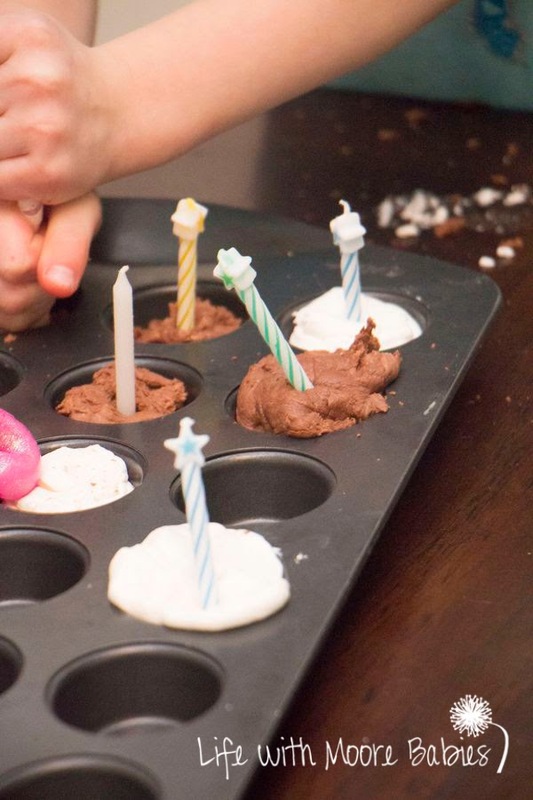 Now according to them, they had chocolate and vanilla, so they needed to make cakes! 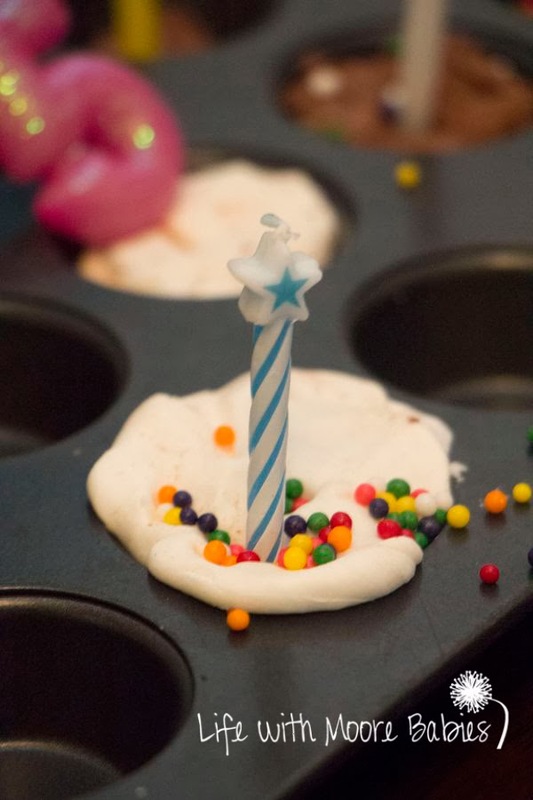 So I set out candles, sprinkles, and a mini muffin tin. 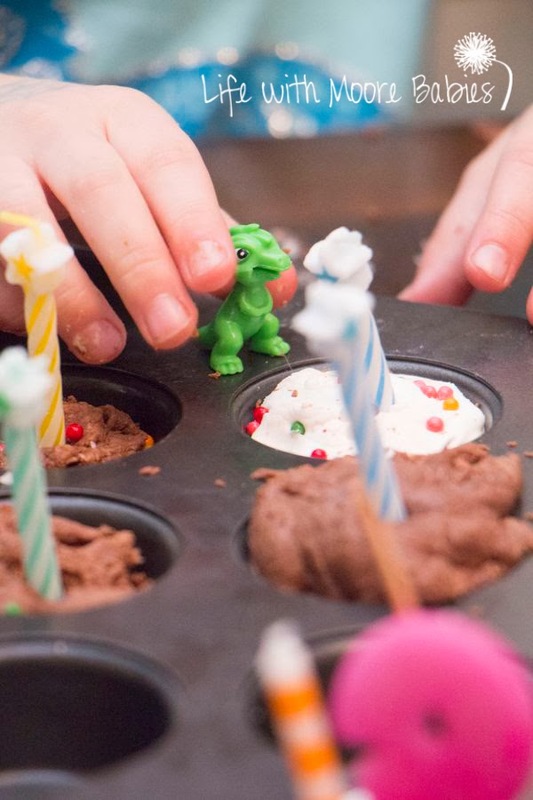 They were all excited about their mini cupcakery and quickly decided they were making birthday cakes for their tiny dinosaurs. They molded and sprinkled and tasted and sang. 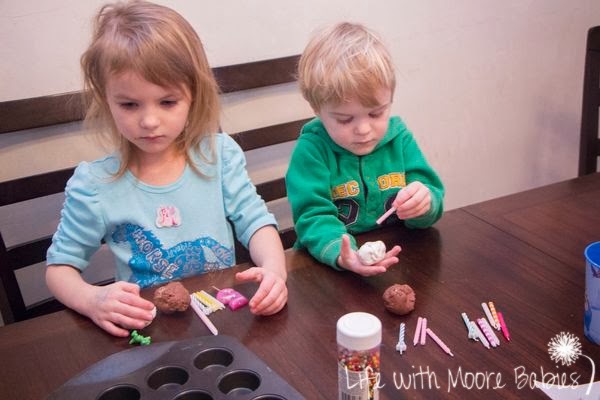 And they did it over and over until our play dough was reduced to about half what we started with! For fear of a sugar over load I stopped them there and made them save the rest for the next day! They had a great time with their "baking" and didn't complain about being hungry until supper!